Maggie Sottero Designs is one of the most recognized and sought after names in bridal. 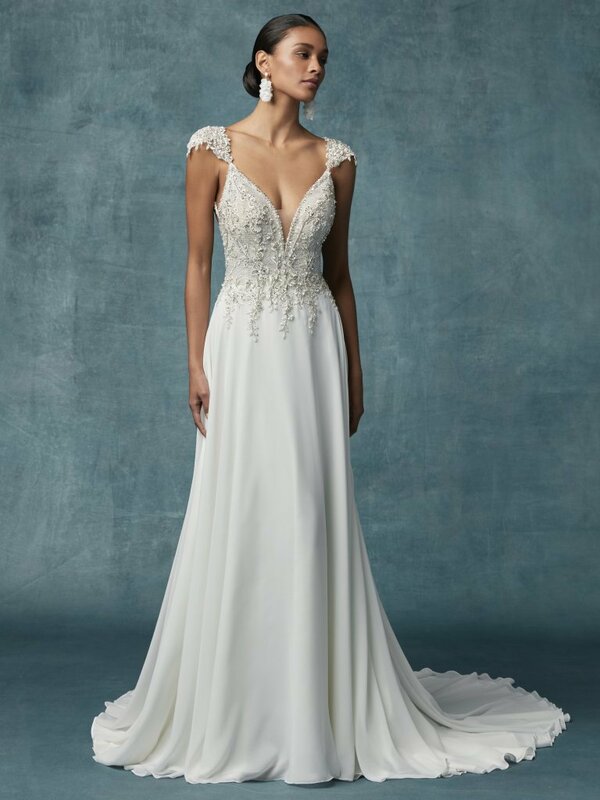 Established in 1997, Maggie Sottero redefined couture bridal fashion with a commitment to impeccable styling and incomparable fit at an affordable price. With design studios in Sydney, Australia, as well as Salt Lake City, Utah, design inspiration is curated from an international landscape, patterned with artistry by seasoned experts and imbued with panache unique to international collaboration. A preview of the Maggie Sottero gowns you'll see in our showroom. Just ask. Often, we can have a sample gown brought in for preview. Or, come to the showroom to try similar fits and styles. We'll gladly order you any gown from the Maggie Sottero collection.